In celebration of Star Trek: The Next Generation’s 30th anniversary, the Miami Marlins are hosting a “Star Trek Night” at Marlins Park, this Thursday, July 29th. 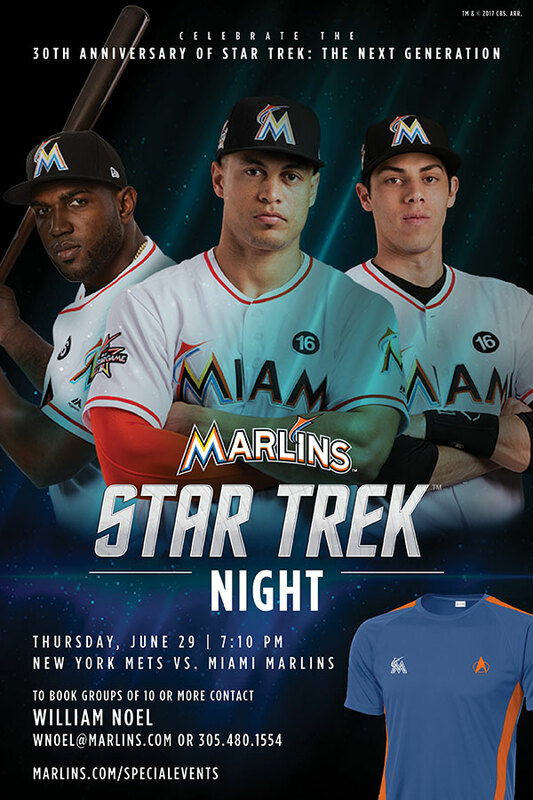 Fans who purchase the special Star Trek package will receive an exclusive Star Trek/Marlins dri-fit jersey, along with a ticket to the game, as the Marlins take on the New York Mets. Plus, we’re giving away four jerseys! Details below. 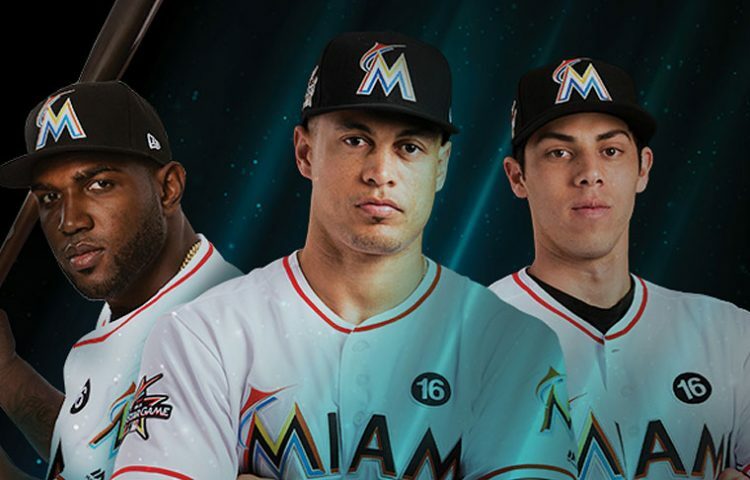 With 2017 serving as Star Trek’s 30th anniversary of The Next Generation, the Miami Marlins are proud to invite all fans of the franchise to celebrate at Marlins Park! Your special event package includes a ticket to watch the Marlins take on the Mets, as well as an exclusive Star Trek dri-fit commemorating the 30th anniversary. 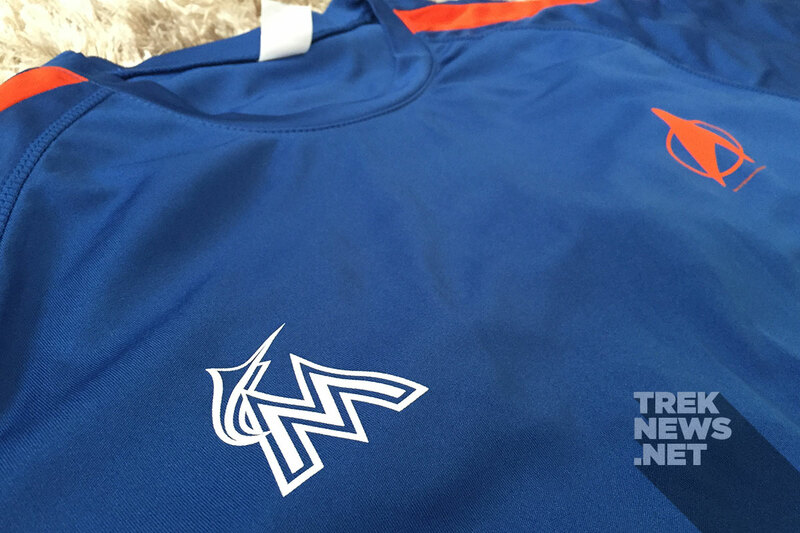 We’re giving away four exclusive Star Trek/Marlins Dri-Fit jerseys! 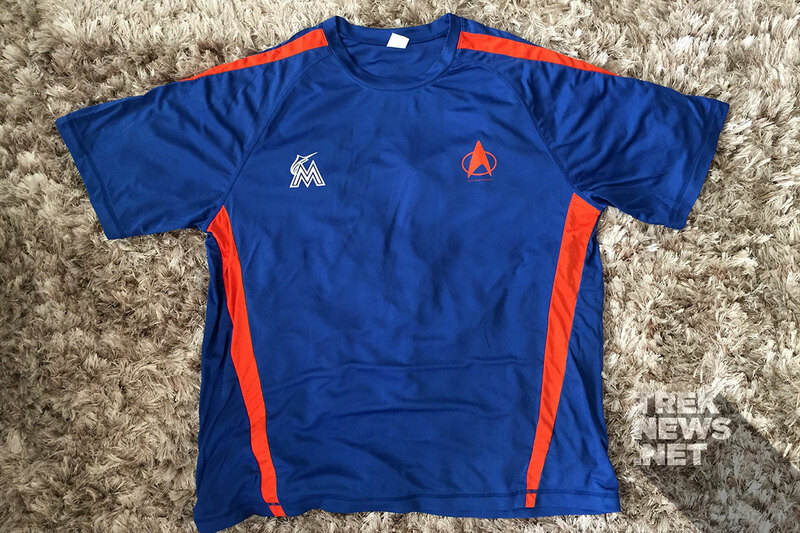 In addition to the fans in south Florida attending the event, the Miami Marlins and TrekNews.net are giving away Marlins/Star Trek dri-fit jerseys to four lucky readers. Like TrekNews.net on Facebook or follow us on Twitter. Sign up for our weekly newsletter (We promise not to spam you!). To increase your chance to win, retweet or share our post on Twitter and Facebook. This giveaway is only open to TrekNews.net readers in the continental United States. To purchase the Star Trek ticket package, visit MLB.com.